Our range of products includes several protection products for different body parts. We offer Ear Muff to offer protection to the ears. These are manufactured in compliance with prevalent standards of quality at our high-end infrastructure facility. 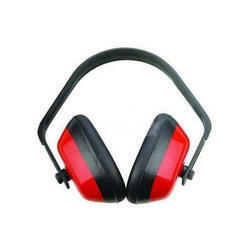 These are used to protect the ears from loud and unbearable noises which are often generated in factories and plants. These create a barrier between the source of noise and the ears, thereby reducing the possibility of hearing impairment. To address the safety needs of the ears, we offer the best quality of Ear Plug to clients. These plugs are manufactured as per industrial quality standards and are supplied to clients at leading market prices. These plugs are used to protect the ears from loud sounds and noises which can be potentially damaging. These plugs are available to clients in various shapes. These prevent loud noises from causing damage to the ear drums, thereby helping in protecting the hearing capacity. These are easy to use. We offer a wide range of Reusable Ear Plug to our clients. These ear plugs are manufactured at our ultramodern infrastructure facility keeping in mind the client’s furnished specifications. These ear plugs are manufactured using the best quality of raw materials. These are available to clients in various shapes and sizes. These protect the ears from loud noises and sounds, which can cause hearing impairment. 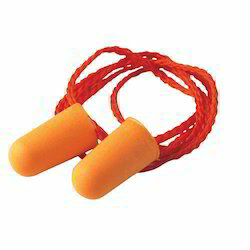 These ear plugs are highly affordable.